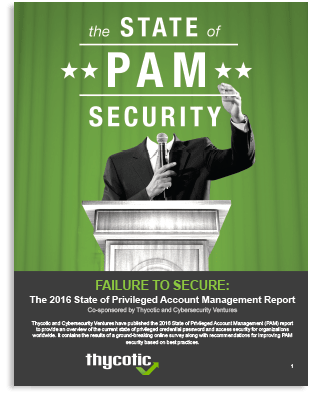 While 80% consider PAM security a high priority nearly two-thirds still rely on manual methods to manage privileged accounts and only one in ten have implemented an automated commercial solution. The results are especially alarming when you consider that privileged account passwords and access are a prime target for hackers and one of the biggest cyber security risks for breaching the defenses of any organization. Locking down privileged accounts should be on every CISO’s short list. If not, then they are inviting trouble. The path of least resistance for cyber evildoers is access to privileged account information. The latest results from a groundbreaking global benchmark study by Thycotic reveal several security gaps in how many organizations manage and secure their privileged account passwords and access. 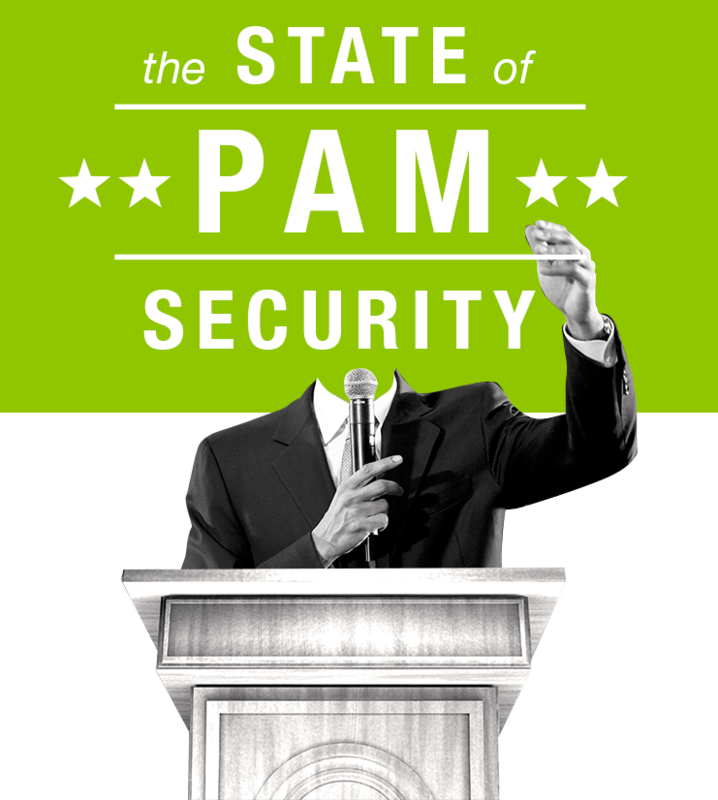 The State of PAM Report, based on the survey, highlights the major areas of concern and provides recommendations for how to address the most common shortcomings in PAM security. By exploring automated PAM solutions, you can help ensure privileged credentials throughout your IT infrastructure are far more secure and easier to manage. The State of PAM Report provides several recommended actions to help secure privileged credentials throughout your enterprise. Educate key stakeholders in your organization about the urgency and value of Privileged Account and Access Management Security. Take the survey yourself to see how your current PAM practices compare with others, and share the results along with specific recommendations to address issues you’ve identified within your organization. Discover where your privileged accounts are located across your entire enterprise environment. Here are two free tools from Thycotic you can use to discover where your privileged accounts are located for both Windows and Unix environments. Automate the management and security of privileged account passwords. Check out these affordable PAM solutions available for any size organization and you learn more about the top five tasks you can automate in this free eBook. Adopt security polices to help ensure least privilege strategy for account access. You should explore employing software tools to limit privileged access without impacting user productivity. Provide greater visibility in PAM for CISO while helping to assure you can demonstrate compliance with audits and policies affecting privileged account credentials. Get a free template for best practice privileged account security policies as well as Free PAM software to help automate enforce those policies to improve security and satisfy auditors. Get the full report with all State of PAM results by filling out the form above. • 1 out of 5 of companies have not bothered to change their default privileged account passwords. • 30% of companies have no formal password controls and frequently allow accounts and passwords to be shared. • 70% require no formal approval for creating a privileged account.